These particular horse spurs are made of engraved silver and will provide maximum durability even when used on a daily basis. HorseTackNow offers top quality items at great prices. Read more about this product below. 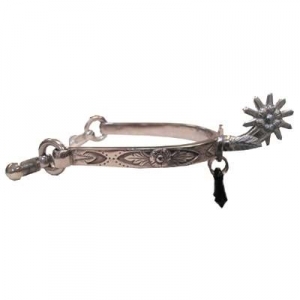 Rest assured you are getting only superior quality products here at Horse Tack Now.This Silver Engraved Spur with Stainless Steel, features a reversible spur with jingle bobs.